Billions in investments in everything from tanks to missiles are in the pot, as European NATO countries are pressured to invest more in their defenses. 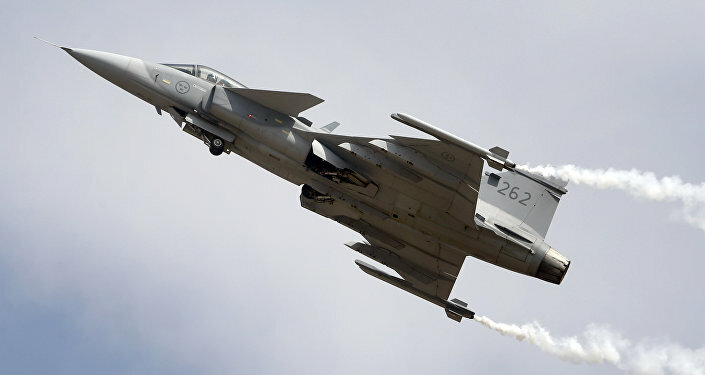 Prior to the NATO summit in late May, Swedish Saab is looking forward to a decade of increased sales. Both real and perceived threats together with the common NATO goal of a defense expenditure of at least 2 percent of a country's GDP have spurred European politicians into "putting things in order" and boosting defense budgets. Even though the increased expenditure will to a large extent be spent on more personnel and new facilities, new equipment is also needed, and the demand for everything from ammunition to expensive fighter jets is increasing. Swedish Saab CEO Håkan Buskhe is highly optimistic of the perspective of sweeping military updates in Europe amid what is portrayed as "deteriorating security." "We are facing a time of increased tension. It may last about 10-15 years, and we expect to scale up our order book," Håkan Buskhe told the Swedish daily Svenska Dagbladet. Provided that more European nations will step closer to meeting the NATO defense expenditure goal, the purchase of defense equipment is expected to increase by about 25 percent in the coming years, Håkan Buskhe claimed, citing a surge of interest in Saab's radar equipment. ​"The interest in systems such as GlobalEye, which allow one to simultaneously track several different targets, has increased dramatically in recent years. This obviously depends on the adverse situation," Håkan Buskhe said. 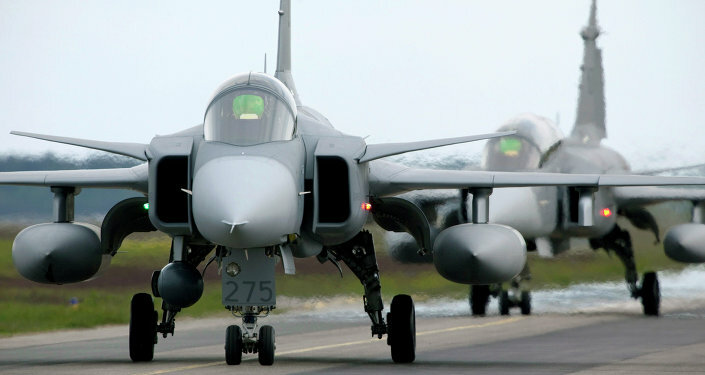 However, Gripen fighter jets and submarines remain Saab's best bet. "In the niche where we operate, there are about 50 submarines that have to be replaced in the next few years," an enthusiastic Håkan Buskhe told Svenska Dagbladet. However, one major problem is that the European arms market is disjointed, which leads to fierce competition and decreased efficacy. There are three competing fighter jet systems, about a dozen armored vehicles platforms and a large number of shipyards for warships and submarines. At the end of last year, overcapacity and the duplication of arms systems was reported to lead to an annual waste of €26.4 billion (almost $30bln). The disintegration is largely due to strong national interests. For instance, Sweden reclaimed its much-debated Malmö-based Kockums shipyard from German Thyssen Krupp's ownership in 2014 and let Saab take over. In 2015, Saab restarted the ill-fated A26 submarine project, which was initiated in the early 1990s, lay dormant for much of the 2000s and was ultimately cancelled due to disagreements between ThyssenKrupp and the Swedish government. So far, however, Sweden remains the only country to have ordered two A26s for a maximum cost of 8.2 billion SEK ($950mln). Earlier in May, Svenska Dagbladet revealed that the cost of A26s could be at least 2 billion SEK higher than expected, if the submarines ultimately would not be sold abroad. ​Following decades of disarmament and sinking defense expenses, the EU and NATO have made a startling U-turn. The turning point occurred at the 2014 NATO summit in Wales, where the 2 percent target was set for all member states. Jane's Defense Budgets analyst Fenella McGerty predicted the defense spending in the European NATO countries to reach 1.6 percent of the GDP, with massive investments in tanks, armored vehicles and troop transports to follow. A total of $90 billion is expected to be spent solely on military land vehicles between 2016 and 2025. Germany alone, which today has a defense budget equivalent to 1.2 percent of its GDP, would have to invest another €25 billion (over $28bln) to achieve this goal. Furthermore, Spain, the Netherlands, Belgium and Denmark would need to almost double their military expenses. Sweden, whose military expenditure after years of cuts dropped to almost 1 percent, is also among the countries bound to do the hardest work.